"When i asked Herbert to take away the bare look off a cliff at the back of the house i had no idea what the result would be like.Seeing his plan on paper i realised my garden was in the hands of a truly professional garden designer. It was very exciting watching it take shape as the work rapidly progressed. The result is a beautiful area that provides all year round colour and foliage. In my wildest dreams i never thought i would have a garden so amazing that i built a conservatory in order to enjoy it all the year round, and it didn,t cost the earth!" 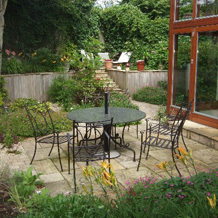 "Greenwood Landscaping designed and maintain the garden in my house in Galway. They gave me detailed drawings of the garden plan and finished the work on time. 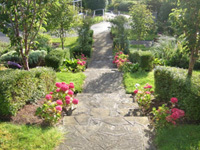 They have regularly maintained the garden and improved it year on year. They take pride in their work and the garden is now maturing nicely. 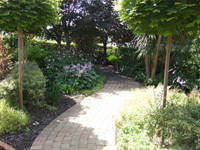 I have found Greenwood Landscaping pleasant and courteous todeal with." We have been using Greenwood Landscaping for the past number of years and find them to be an excellent landscaping company. 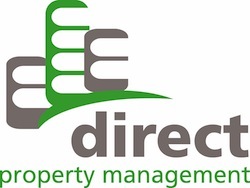 In my experience I have found them to be both a professional and courteous company to deal with and we have always found them to be an excellent source of value. They carry out their duties to the highest standards and are very thorough in their work. On this basis I would be happy to recommend them to clients and associates. Winters Property Management Ltd operates a stringent approval process before engaging contractors on behalf of our clients and we are pleased to include Greenwood Landscaping as one of our approved landscaping contractors. We find the quality of their work to be of a very high standard and the service and personal touch from Herbert brings that little bit extra to the business.